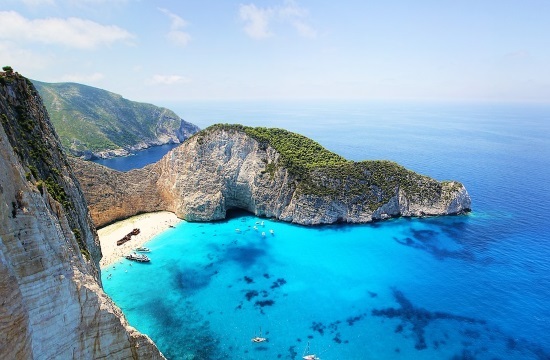 Seven months after a major landslide at the emblematic Navaghio (Shipwreck) beach on the island of Zakynthos, a plan to manage visitor safety is ready, a geology specialist told Athens-Macedonian News Agency radio "Praktoreio" on Thursday. Noted Professor at the National and Kapodistrian University of Athens and president of the Geology and Geoenvironment Department Efthimios Lekkas announced that, following safety concerns, "We are pleased to present the first visitor flow management plan for Navagio beach, which will designate and demarcate areas" for tourists that will include three zones. He said that access to the first zone will be free under conditions; the second zone, restricted after rainfall or an earthquake, will be supervised; and, finally, the third zone will be closed off to all visitors, he said. Special signs shall be placed on the beach to explain the zones to tourists, while two or three people will be supervising the area for the strict implementation of the rules.